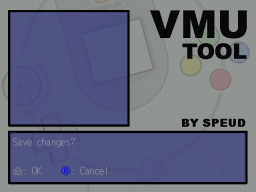 Select the "Open CD" option if the minigame you want to play is on a CD you put in your Dreamcast. 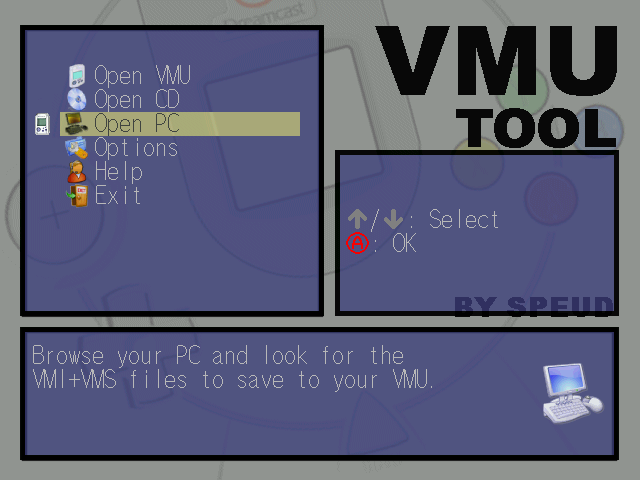 Or select the "Open PC" option if the minigame you want to play to is on your PC harddrive. Your PC harddrive or CD will be scanned. 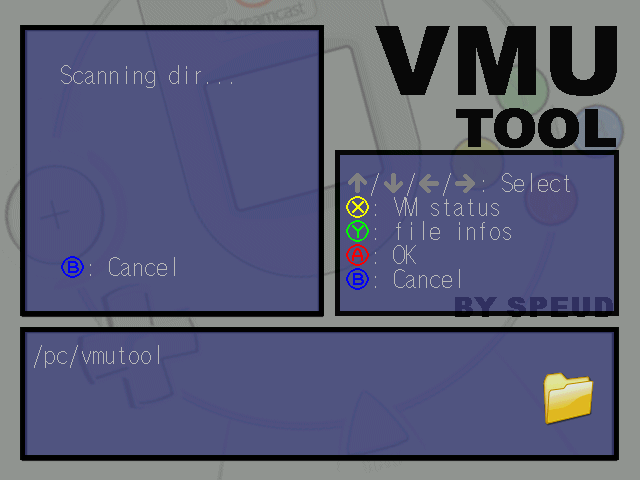 Wait the scan finishes and select a directory containing the minigame you want to play to. 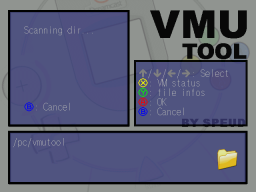 Files in the list with .VMI extension correspond to VMU file in VMI+VMS couples format. 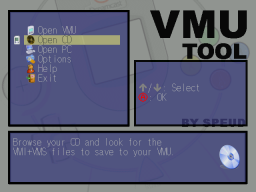 Files in the list with .DCI extension correspond to VMU file in Nexus memory card format. Look at file infos that are displayed in the bottom frame. Select the GAME file you want to play to. 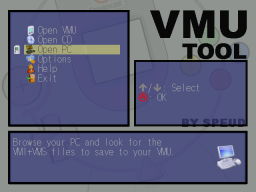 Select the "Play in emu" option. 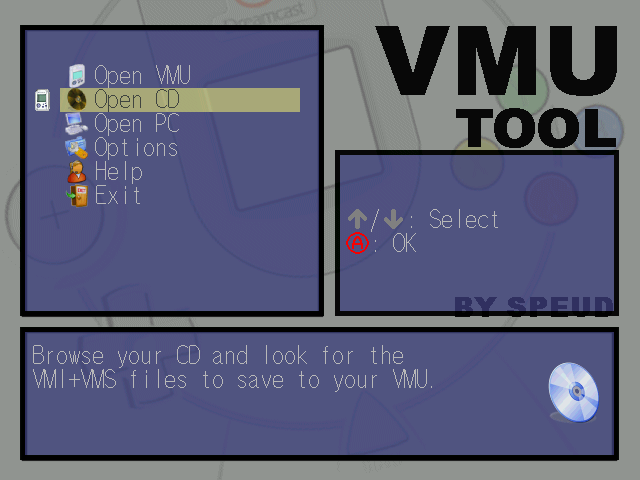 If no "Play in emu" option is available check file infos and make sure the selected file is a GAME file. 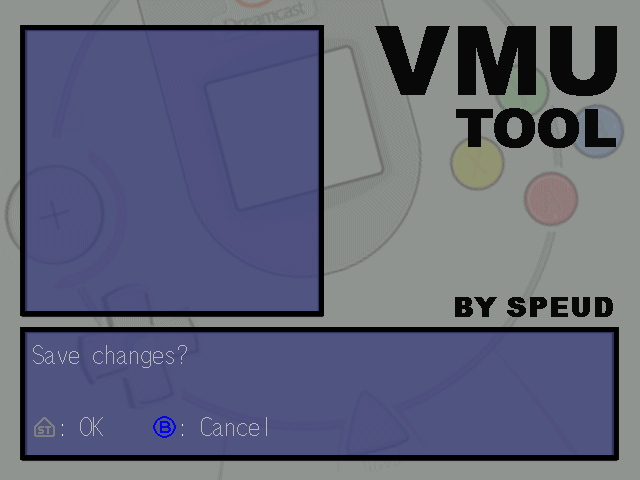 The VMU emulator will open and launch the selected minigame. Changes won't be saved, if you want to load existing minigame to be able to save changes check this guide.